Hi dolls! I haven't posted in a while as I've been busy with my work. I've been working on a few crafty projects (next post! 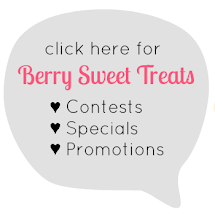 ), some custom orders, and a few other new ideas. 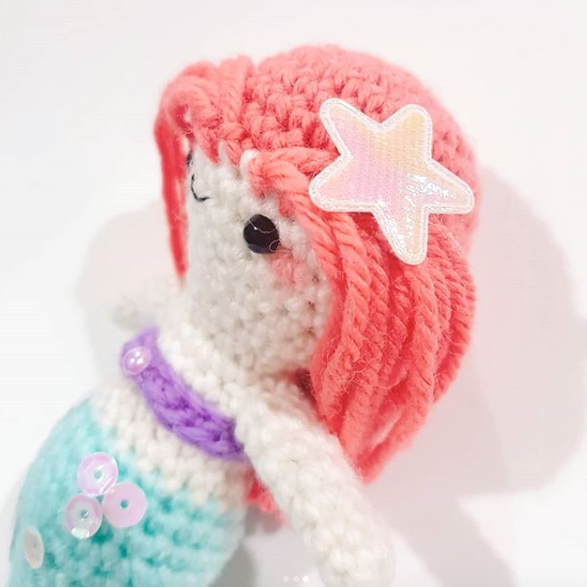 Here's one of them: amigurumi from one of my favourite Disney movies The Little Mermaid! The first is a pastel inspired Ariel amigurumi mermaid doll and the second is a chibi Flounder! Check out my Instagram for more detailed photos and other amigurumi. Creating Ariel was inspired from #mermay on Instagram. 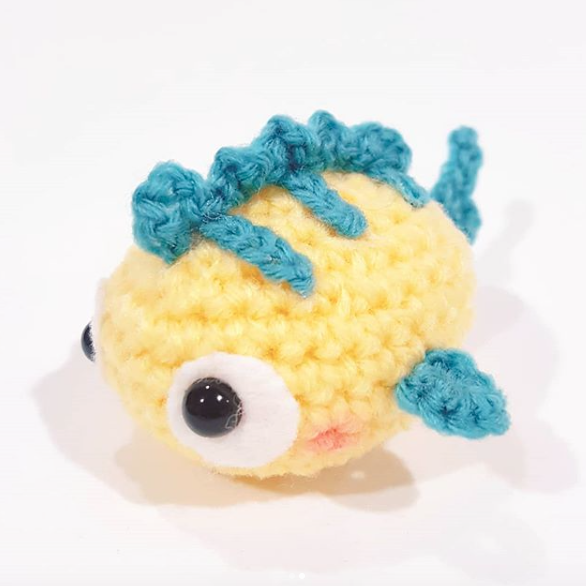 I used the body part of Blackhatllama's awesome Mermaid pattern. This adorable Flounder ball pattern can be found on Yarn Treasures' website. The awesome thing is, both are free patterns. Happy crafting! Isn't this chibi Flounder so cute?